The practice of Isometric Exercise is over thousand years old. The word is derived from two Greek phrases “Iso” (meaning same) and metric (meaning distance). Thus, the length of the muscle does not change in Isometric Exercise, nor does the contraction strength does not change, but the joint angles do. 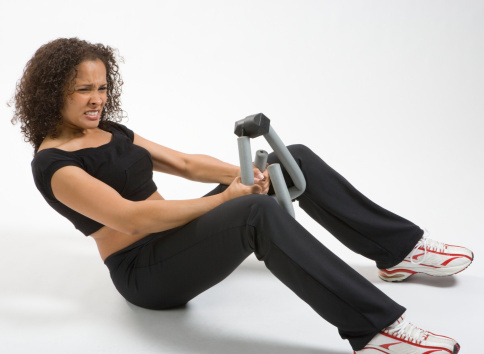 Isometric exercise involves muscular contraction against resistance without movement. Isometric exercise is essentially a type of exercise that should be done in static positions, i.e. the contractions of muscles should be done without any movement in the angle of joint instead of being dynamic through a range of motions. It is an exercise which is radically different from weight training. Isometric exercise helps in increasing strength. It comes with a strength or power. It provides the ability to target a specific muscle or a specific muscle group in each workout. In these exercises, a lot of pressure is exerted on the muscle being worked out. Thus, a lot of protein deposits in the respective muscle and the muscle become very strong. One of the chief purpose, people engage in isometric exercises is to improve their physique. Such exercises give unique eloquent looking shape to muscles. By working on right muscles or muscle groups, you can give a distinct shape to your body. Commercial models, cine actors, sports personalities and others give special importance to isometric exercises for improving their looks. Thus, isometric exercises can be utilized as a good method for body or muscle building. Isometric exercise helps keep the body fit and fine by burning extra calories and excreting the unwanted substances and toxins deposited in the body. Engaging in isometric exercises regularly will make you healthy. As these exercises put a lot of stress on muscles over a short time, Isometric Exercises increases the stamina and efficiency of the body. Increased efficiency helps improve the quality of life as it reduces both pressure and shortens time of any activity done. Good health is essential for smooth functioning of day to day activities. A balance of physical and mental activities is a key to good health. In today’s world, where most jobs do not require much physical activity, people can easily become obese and develop obesity related complications due to lack of physical activities. Thus, engaging in isometric exercises briefly every day helps the body to maintain balance. Particularly, people who do not engage in physical activity are prone to cardiovascular ailments. Isometric exercises can reduce such risks, preventing problems like cardiac arrest.